Rev your engines for another adventure in Jon Scieszka's Trucktown! Perfect for summer or all year long! 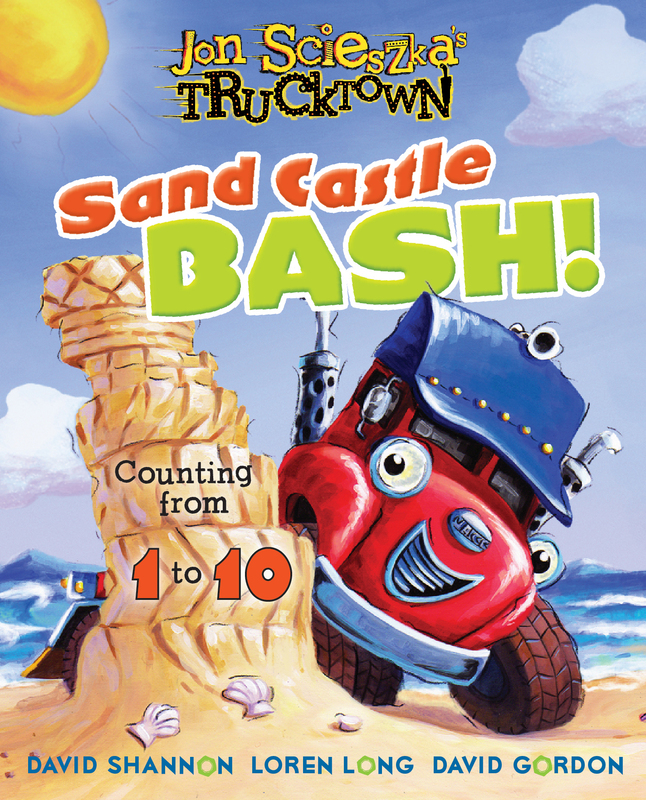 Join ten of the Trucktown crew in this all new beach adventure as they compete in this truck-themed sandcastle contest hosted by Jack Truck! Count up from contestants one to ten and look for the numbered flags next to the sandcastle to find each truck's sandy creation. The contest hits high gear when all ten sandcastles have been introduced and the trucks are invited to bash their way through each one.